Now let’s check out the currently available Nokia 800 colours side by side. 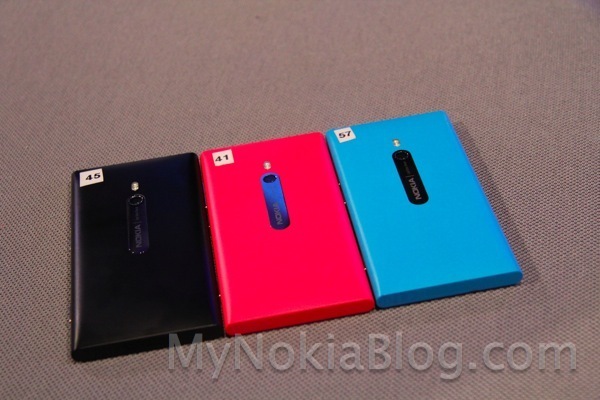 Like the N9, the Lumia 800 comes in Pink (Magenta), Blue (Cyan) and stealthy black. They’re all pretty stunning, no?